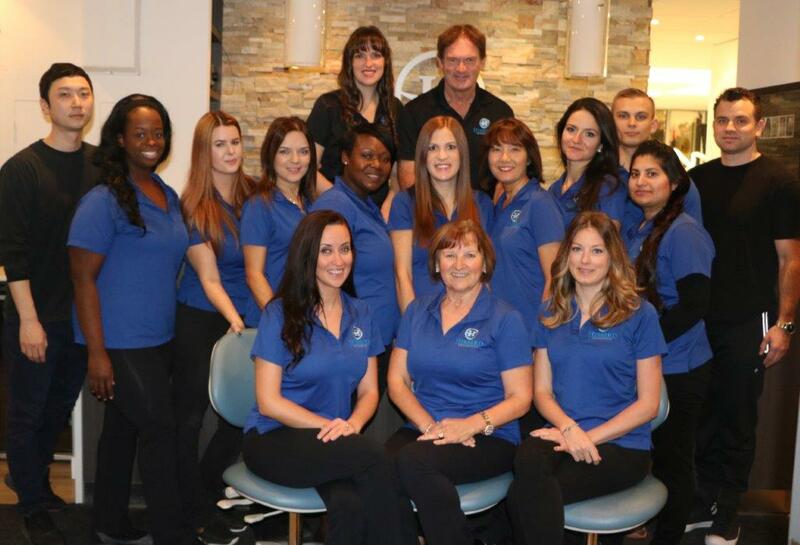 I have been a member of the Hibberd Orthodontics team for so many years that it feels like home! 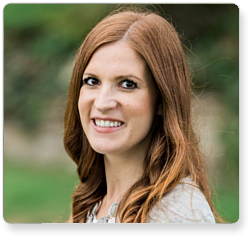 In addition to being an assistant at Hibberd Orthodontics, I also help our new patients understand their treatment options and plan for care. My favourite part of my job is meeting with our new patients who may have had a negative experience in a dental office in the past, and come in really nervous. By the end of their consult, when they are excited, at ease and smiling ear to ear, I know I have done my job to give them a real picture of how positive of an experience our office is and that feels great! My husband Wendell has his own Tae kwon do business, and we have a beautiful son named Wyatt. I love travelling, spending time with family and friends, photography, and party planning. 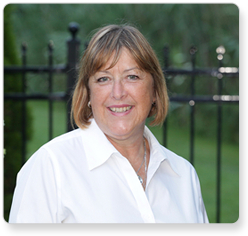 Nancy has been with the Hibberd Orthodontics team since 2012. Besides being an amazing team member who is thoughtful and kind, she’s also the proud mother of 3 amazing children. And if 3 kids weren’t enough, she also takes care of a dog, a cat and a 130 gallon fish tank. Nancy enjoys a good Netflix binge and a little R&R when time permits in her busy schedule. 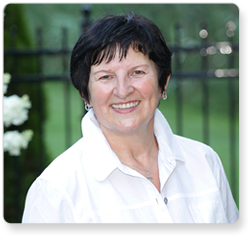 Nancy is the treatment co-ordinator for Dr. Christine Hibberd and Dr. Graeme Hibberd in the Oakville location now, but past patients will remember her beautiful smile from the Toronto office prior to joining us in Oakville. 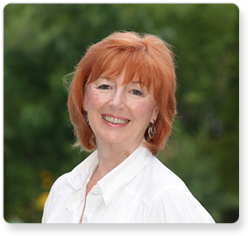 Nancy looks forward to meeting you and helping our patients achieve the smiles the truly deserve. 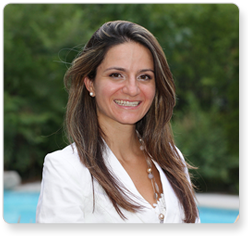 I joined the team in January 2015, having graduated from George Brown College in 2004. I work with patients from the beginning to the end of treatment and love seeing their smiles develop from start to finish. I have been married to my husband Philippe since 2010. I am passionate about travel and have lived in many cities around the world. I genuinely enjoy orthodontics! It’s fascinating to me! I love getting to meet new people and see their smiles change over time. Working here is a lot of fun! I have a good relationship with everyone and I learn something new from them every day! I have been married to my spouse Paul since 2008. We have three beautiful children together, and we have a dog named Sonny. My hobbies include crafts, martial arts, and good wine. Sue has retired - but we like to keep her face here as she will always be a part of our team! I was happy to join the office family when I came out of the Sudbury Dental Hygiene Programme at Cambrian College in 1990. I have a very musical personality: I play the flute and sing in my church choir. I am also a big sports fan and love to travel. I attended Niagara College for my dental hygiene degree and joined Hibberd Orthodontics in 2016. Our team all gets a long really well, works well together, and has a lot of fun. Sometimes it doesn’t even feel like I am coming to work! I love interacting with my patients, and being a part of their treatment and incredible smile results. At home, I have a dog named Stella, who I like going to the park with. I enjoy running, travel, cooking, and spending time with my family. I have been a part of this team since 1999. I graduated from the Canadian Academy of Dental Hygiene and bring that great education to our patients every day to help their smiles stay beautiful and healthy. Working with patients every day and seeing their smiles develop from start to finish is the best part of my job. I’ve been with my high school sweetheart since 1999. We have two girls named Isabella and Alyssa. When I’m off work, I love to travel, do yoga, and be involved in my kids’ activities. I joined the Hibberd Orthodontics team in 2017. I love working with so many great patients and spending my days with the best team! I recently got married and love to travel and volunteer. I also speak many languages. I joined Hibberd Orthodontics in September of 2016. I speak three languages – English, Serbian, and Macedonian! Whatever language our patients speak, the universal language is a smile! I love helping patients and putting a smile on their face! I am getting married this summer to my fiancé Djuro. We have a fat cat named Misko that we adore. I am crazy about the Blue Jays, and love almost all sports especially soccer. I also love baking and cooking. Mama Sofia has retired, but we couldn't image taking her off of here, so her smiling face will stay! We miss her a ton! 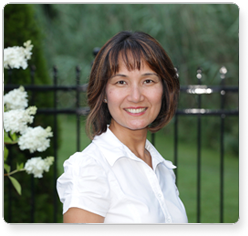 I have worked at Hibberd Orthodontics since 1989—Dr. Graeme Hibberd and Dr. Christine Hibberd are the best and I feel like they are my family. I am “Mama Sofia” to everyone who works and visits this office. I love working with so many patients every day and taking care of them. Making sure everyone leaves with a smile is my passion. In my free time, I love traveling and watching hockey and soccer. My lovely husband Milan and I have two amazing children and five incredible grandchildren. 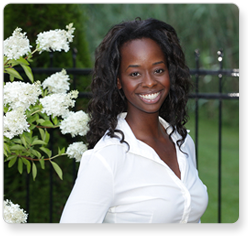 I joined Hibberd Orthodontics in 2016 after graduating from George Brown. I completed my placement at Hibberd Orthodontics, which turned into a full time position! I enjoy working with so many great patients every day and have a lot of fun with them and our team. Outside of the office, I am a fitness enthusiast. I also love dogs and have one of my own! I am our administrative assistant and financial coordinator. I greet patients, schedule their appointments, and manage their contracts and payments. I’ve enjoyed my time as part of Hibberd Orthodontics since 2004 because I get to interact with so many great people every day. Dr. Graeme Hibberd and Dr. Christine Hibberd are incredible orthodontists with hearts of gold. I am a foodie and love to go to restaurants. I also enjoy shopping, entertaining, and spending time with family. Although you won't see me in the office often, I have been a member of the team since 1999. In December 2013, I was the first member of Hibberd Orthodontics to officially retire! I still fill in at the office occasionally. I really enjoyed working at the practice, assisting patients with the financial aspects of their care to ensure that everything ran smoothly. I have two children and am enjoying spending more time with my grandchildren now that I am retired. I get to do all the fun parts of orthodontics: taking photos, talking to patients about financials, and booking appointments. I have a background in social work and am a people person first and foremost, so getting to know people and seeing the before and after is so much fun and never gets old. There is so much to love about working here, but most important is the family atmosphere. I’m big into fitness and couldn’t be happier than when I’m lifting weights. I met my partner nearly three years ago now and he’s really helped me understand that strange thing called love and honestly, it is the single greatest feeling in the world. Finally, I love spending time with my family—since it is small we’re pretty close. My mom is pretty much my best friend! 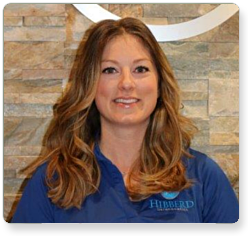 I joined Hibberd Orthodontics in 2015 as our operations manager. Family is the most important thing to me, and I feel so lucky to be able to work with my Dad (Dr. Graeme Hibberd) and my sister (Dr. Christine Hibberd) every day. We have an amazing, very closely knit team of talented staff members that I am so proud to be a part of. My favourite part of my job is working in such an exciting environment. I like keeping everyone organized, and continuously focusing on improving our processes, as well as ensuring the best experience possible for all our patients. I have been married to my incredible husband Chris since 2012, and we have two girls who we couldn’t love more – Charlotte and Natalie. I enjoy keeping active, travelling, and spending time with my family and friends. 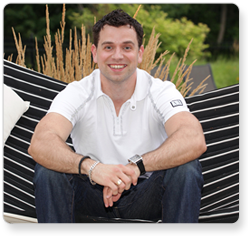 A self-professed “tech geek,” I manufacture all of our patients’ orthodontic appliances. I have a passion for the advanced systems we use in our office and love having the opportunity to work with them every day. I also love working with this team—we are like family! I am married and have two beautiful daughters. I like keeping active, gaming, and spending time with my family. I joined the family at Hibberd Orthodontics in 2013. For me, this office really is family—I get to work with my Uncle Dal! Everyone is very friendly and gets along great. It’s a wonderful environment to spend my days in. At home, I have a dog named Charlie. I am passionate about hockey, especially the Toronto Maple Leafs. In my free time, I love playing sports and hanging out with my friends.